This software can export priv1.edb to PST and pub1.edb to PST both public or private mailboxes. By default this tool save PST file in UNICODE format. 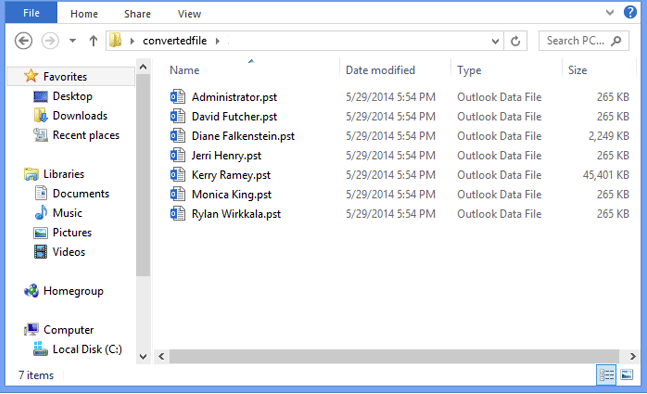 You can move any size of EDB mailbox to PST using this tool. User can choose multiple number of items and even multiple user mailboxes to convert EDB file to PST. This selection and migration of bulk Exchange files can be done concurrently. Also, Every user’s EDB mailbox will create a separate PST file after conversion. EDB file to PST Converter tool perform a complete scan of EDB file using quick or advanced scan according to the level of scanning required. This scanning process helps to fix corrupted EDB files and thus support recovery of corrupt mailbox data items. User can skip the selected mailboxes during the EDB to Outlook PST file conversion. This option will limit the number of EDB user accounts for migration. Using EDB converter software you can selectively export PST from offline EDB though complete EDB file structure, user can select specific data items and folders that you want to convert into PST by checking / unchecking checkbox. 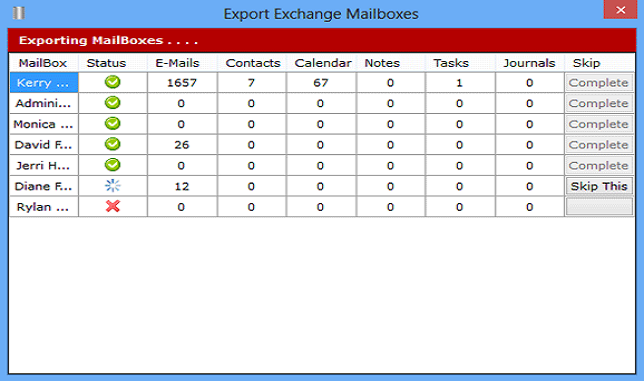 Export Exchange Mailbox to PST including all email, contacts, calendars, tasks, notes, journals etc. This software also support to migrate Meta Data like Cc, Bcc, to, sent date, receive date etc. and attachments associated with e-mails into PST file. Microsoft Exchange Server is a mail server that stores email, contacts, tasks, address-books and lots of other data centrally so that the data can be accessed whenever required. MS Exchange Sever runs on centralized window server system integrate many essential technologies that will use by most of the organization on day to day schedules. These technologies includes Microsoft Lync, sharepoint i.e Messages, document, web/video conferencing and content management etc. Microsoft exchange server provides centralized and role based access to data items and stores data in highly secure manner to protect crucial data from anti-spam and anti-malware. MS Outlook in Windows and entourage in Mac are the two famous desktop based mail client that interface with MS Exchange Server. Current versions of Exchange Server store data into mailbox database and public folder database in EDB file format but in case of exchange server 2003 another file format.stm was also used with .edb file format to store data. Native internet contents like video, images, audio and other internet content files are stored in .stm file and referred to as streaming database. But now all public and private database are stored in .edb file format. Mailbox database stores metadata for all email messages, data definitions, flags, checksums and other information in addition to content of MAPI messages that together comprise mailbox in exchange server. Mailbox database contains data that is private to an individual user and stored it in the form of priv1.edb or mailbox1.edb format. Public folder database stores data, data definition, checksums, flags , indexes, and other related information that comprise a public folders for your exchange organization in the form of pub1.edb format. Public folders are designed to provide shared access and facilitate effective way to collect, organize and share information among the people within your workgroup. If your EDB file dismounted from exchange server or gets corrupted then there is no inbuilt utility in exchange server or Outlook to handle these situations. 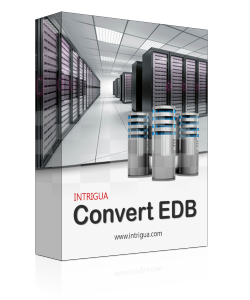 So under this scenario you have to use Intrigua EDB converter which will help to convert dismounted or corrupted Exchange EDB file to pst file. Exchange mailbox to PST converter has the capability to convert highly corrupted, password protected or encrypted exchange EDB mailbox to pst format. This tool can convert multiple EDB file in parallel, also it is not limited to any particular file size of EDB i.e manage to convert any file size of EDB. 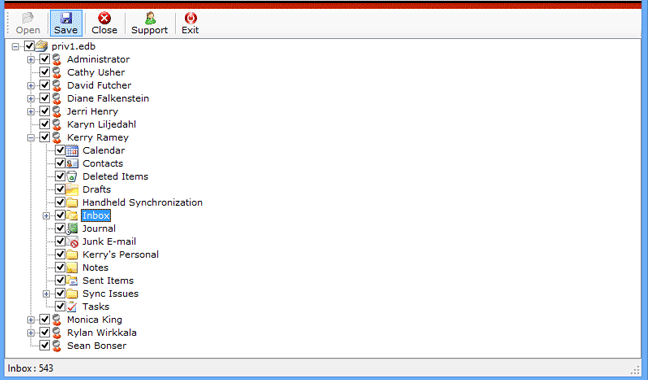 Step 2: After completion of EDB file scanning process, complete EDB file strructure will be displayed. Step 3: Export Selected exchange mailbox to pst/eml/msg or can skip option if required. Step 4: Exported mailboxes into PST files are saved in targeted location. Watch live video of EDB to PST Converter software working methodology. This video has made for users to get an easy understanding of software working and its remarkable features. Is it necessary to have exchange server environment to convert EDB to pst format? EDB File to PST Converter software supports all the versions of MS Outlook. 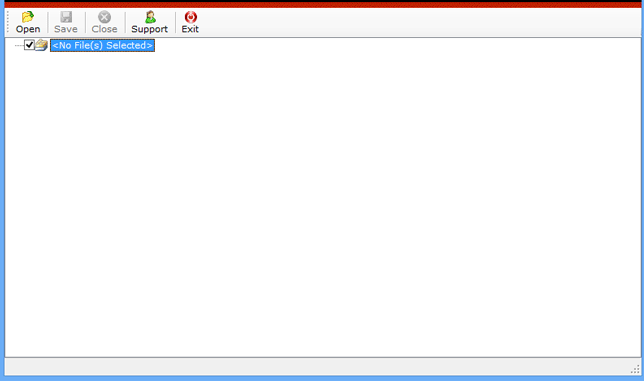 Does this tool can fix any size EDB file? YES by using this software you can convert and fix any size Exchange mailbox to PST, also you can split converted PST file into smaller ones. Which version of MS Exchange server EDB file does the software support? Will this software can convert and migrate corrupted, encrypted and password protected EDB files? Does the software can convert multiple EDB file at one time? Yes this software can convert and move multiple exchange mailbox to pst file at one time. Does the software converts 100% EDB file data? All versions of Microsoft windows are supported by EDB Converter software including Windows 8.1, 8, 7, Vista, XP, 2008, 2005, ME & NT. Conversion of large size exchange mailbox to PST format seems to be a very chaotic process for me. As I am working in an organization where a large amount of information is stored in the exchange server mailbox. But some circumstances required to convert EDB to pst. Under these critical circumstances, Intrigua Exchange Mailbox to PST converter software withstands in all respect. Few months ago our exchange database gets corrupted due to some reasons and we are not able to access some important emails, business delegate's contact and lots of other essential information. Then we found Intrigua EDB file to PST Converter tool which make us convert all corrupted or damaged Exchange EDB to PST file format.